One of the hardest handmade cards to make and share is a sympathy card. However, while it is a difficult and emotional card to make, it will also bring great comfort to the person who is receiving it. A handmade card is just that little bit extra special, but while making the design might be straight forward, what do you write in it? Finding the right words for sympathy cards can sometimes be difficult. Many rubber stamp manufacturers offer a range of sympathy sentiment rubber stamps that can be added to sympathy cards. However if you don't have the right rubber stamps or you want to add a few extra words to your card then we have collected together some suitable ideas for you. More information about making sympathy cards is available here - Tips for Making Sympathy Cards. 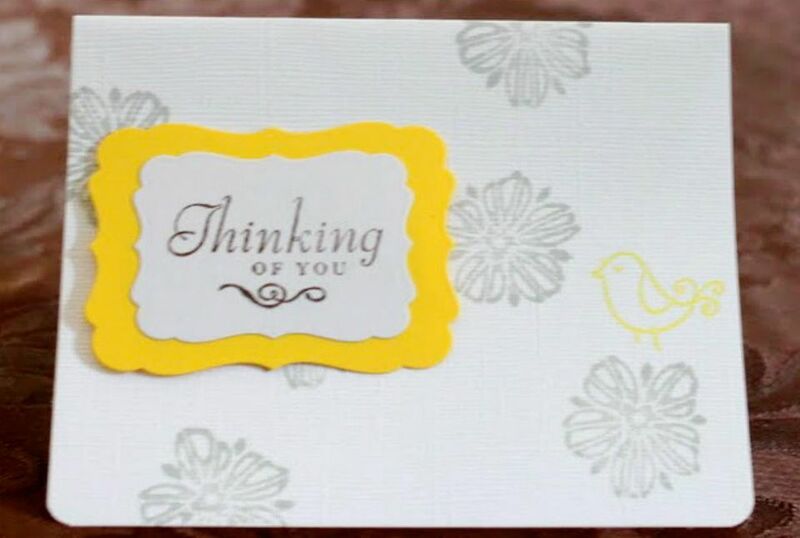 There are many ways to add words and sentiments to sympathy cards. If you have suitable rubber stamps then simply stamp the message on the card as desired. However you may prefer to handwrite or type and print the message and attach it to the card as a panel. When you attach a piece of paper or panel with a sentiment to your card try coloring the edges using an ink pad or marker pen to make it blend in with your design. Drawing a frame around the panel will also help to give it a more 'finished' look. When you are looking for words for a sympathy card remember that a simple handwritten 'I'm thinking of you' is often all that needs to be said. You may also like to write a few personal words, perhaps some shared memories. Sympathy cards are difficult cards to write, however, with the right words you can demonstrate your sympathy while also giving comfort to the recipient.